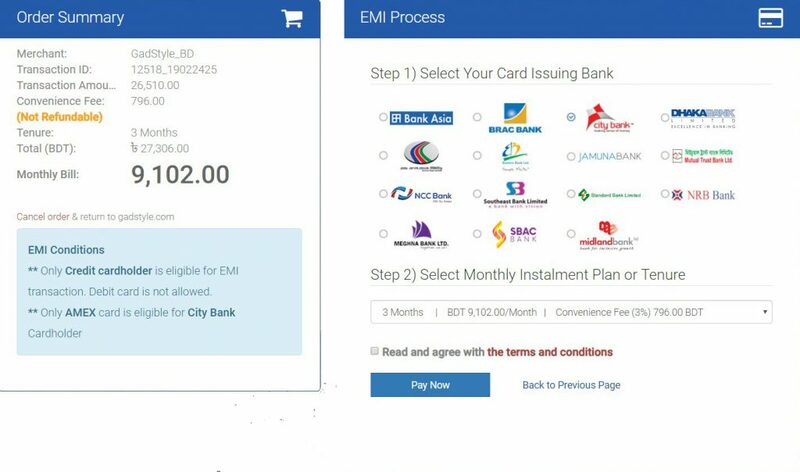 Only Credit cardholder is eligible for EMI transaction. Debit card is not allowed. Only AMEX card is eligible for City Bank Cardholder. Customer have to bear EMI charges according to the preferred installment month. Monthly installment means: the total EMI price divided by number of months allowed and opted for under the EMI facility. EMI tenure means: the number of monthly installments to be paid. EMI account holder means: subscriber of the EMI services. EMI account means: sub accounts/limits within the allowed credit limit to facilitate transfer of a transaction from the card account to the installment account. EMI price means: The purchase price of a product or transaction which is subject to transfer to EMI account applicable to specific offer for a specific duration of installment plan. 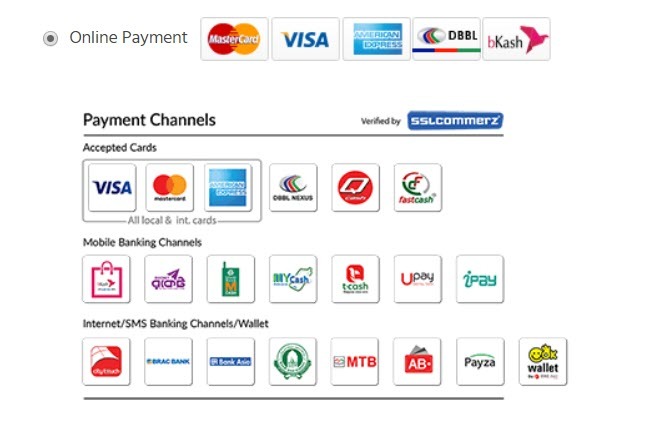 EMI is available for primary Credit Card members and shall only be offered to those card members who are abided by the credit card terms and conditions meet the minimum transaction floor limit and has the required credit limit on his/her credit card account. The card member shall pay the total EMI price at 0% interest rate for the entire payment period in equal monthly installments. 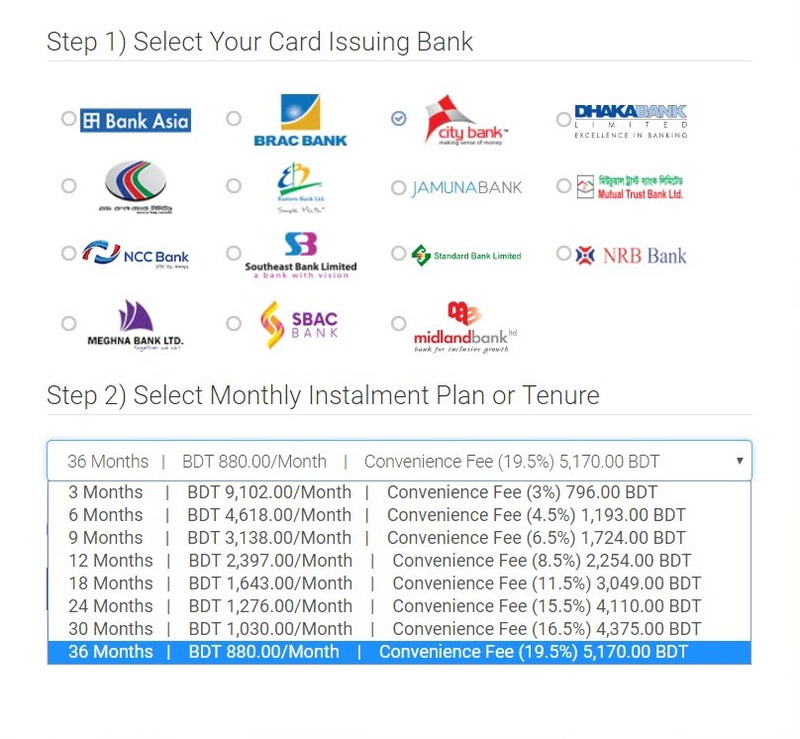 The EMI terms and conditions may vary from one offer to another based on the nature of offer and duration of the installment plan opted by the card member. 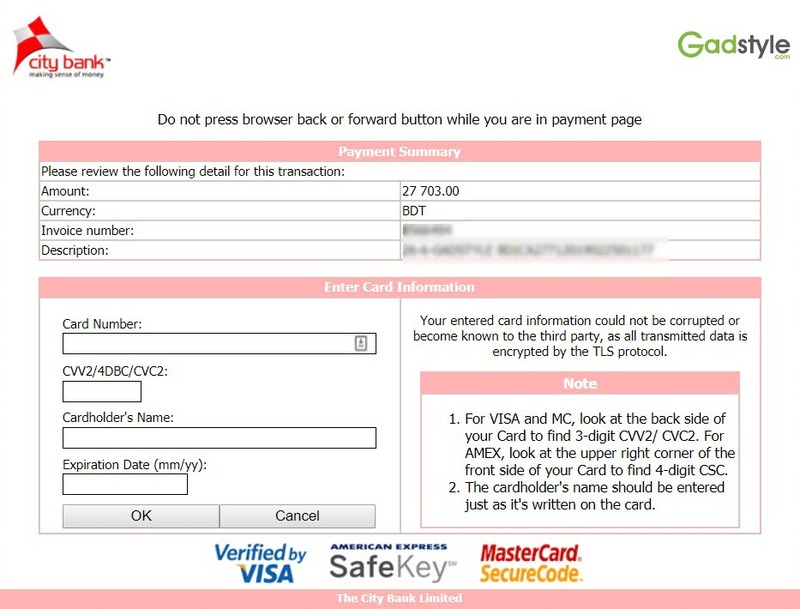 If the card member is interested in availing any offer under EMI, he/she may sign a specific form when he/she makes the purchase through the specific merchant/company. Convenience Fee of the EMI is not refundable. 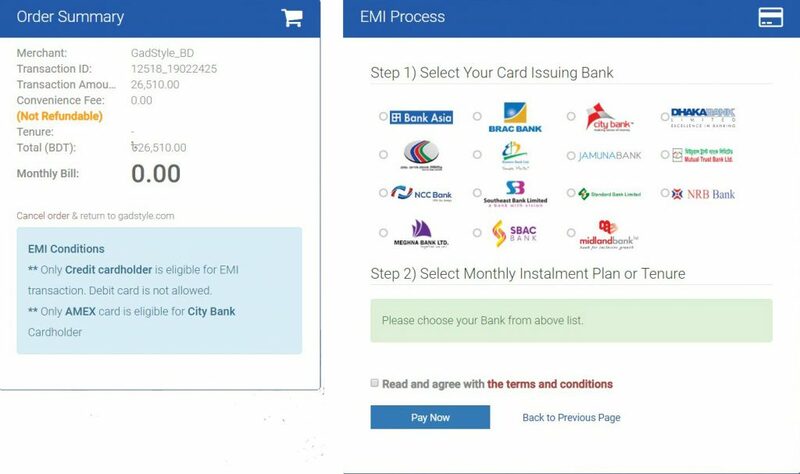 Based on acceptance of the EMI transaction, the first EMI installment shall be billed to the card member in the immediate billing statement and subsequent EMI installments shall be billed to every month thereafter until the EMI price is billed in full.